This ImmunoStrip® test is intended for seed and leaf quality purposes to determine the presence or absence of the Enlist™ trait (AAD-1) that is resistant to 2,4-D herbicide in transgenic corn seed and leaf. 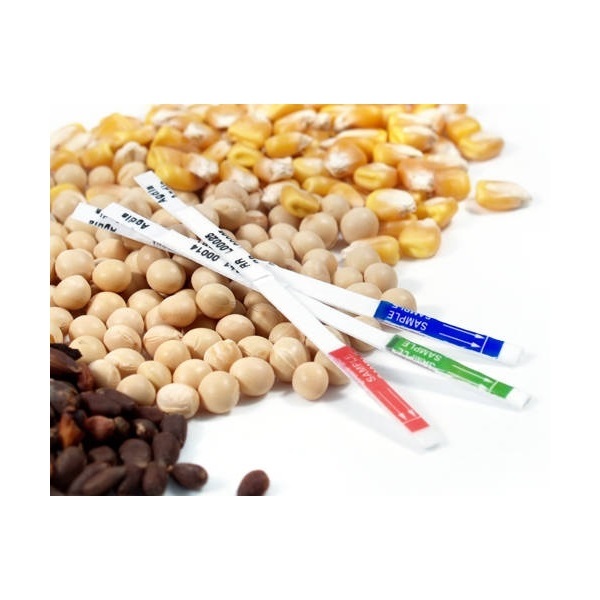 This ImmunoStrip® does not cross-react with other transgenic proteins in cotton including CP4 EPSPS, Bt-Cry1Ab/1Ac, Bt-Cry2A, Bt-Cry3A, mBt-Cry3A, Bt-Cry3Bb1, Bt-Cry34Ab1, Bt-Cry35Ab1, Bt-Cry1F, Bt-Cry9C, PAT/pat, GA21, GT21, CspB and Vip3A. ImmunoStrip® tests require no expertise to run. Results are obtained in as little as a few minutes making them perfect for use in the field. Enlist™ and the Enlist logo are trademarks of The Dow Chemical Company. (“Dow”) or an affiliated company of Dow.